Description. Parkinson’s disease (PD) leads to progressive movement problems that affect safety and independence, including slow walking and movement, short shuffling steps, tremor, rigidity, and balance loss. These problems may be exacerbated by sensory or processing impairments, decreasing a person’s awareness of their own movements. Therapy treatment use external cuing to compensate for this loss, but any movement improvements disappear soon after the cues are stopped. 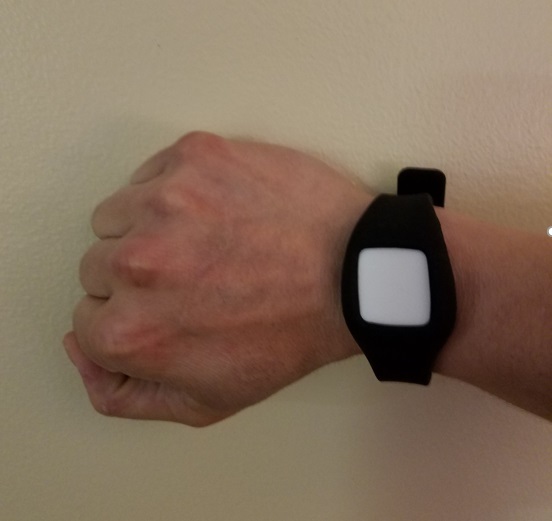 ArmSense is a portable arm swing feedback device to cue larger movements even outside the clinic, providing consistent feedback for larger movements at home and in the community. Versions. Over the years the team has developed and validated different methods of estimating the orientation of the arm in order to provide real-time feedback to the user. 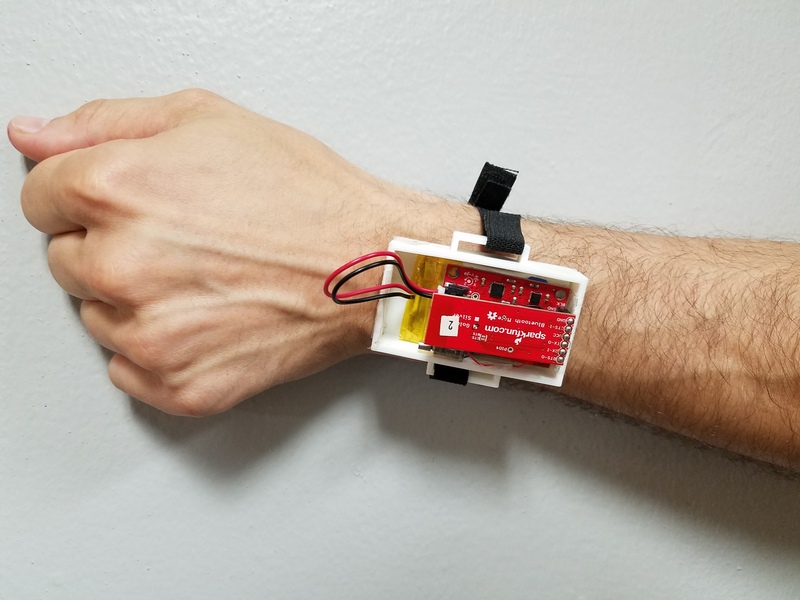 Protype 1 integrated an Arduino IMU, vibrating motor, and a bluetooth module to process accelerometer and gyroscope data, provide feedback to the user, and trasmit data to a storage device. 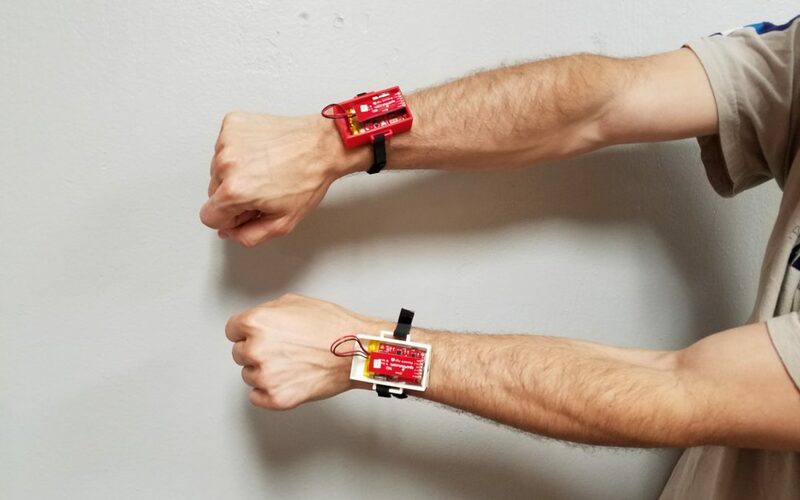 Prototype 2 uses Mbientlab sensors with a built-in IMU, vibrating motor, and bluetooth trasmitter which allows for a more compact wrist wearable that stores data on an Android smart phone App. Thompson E., Agada P., Wright W.G. & Jeka J. (2016, February). 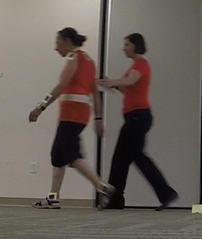 Encouraging larger movements outside of physical therapy: pilot research with a new vibratory-feedback device to retrain gait in people with Parkinson’s disease. Presented at the Combined Sections Meeting of the American Physical Therapy Association 2016, Anaheim, CA, USA.